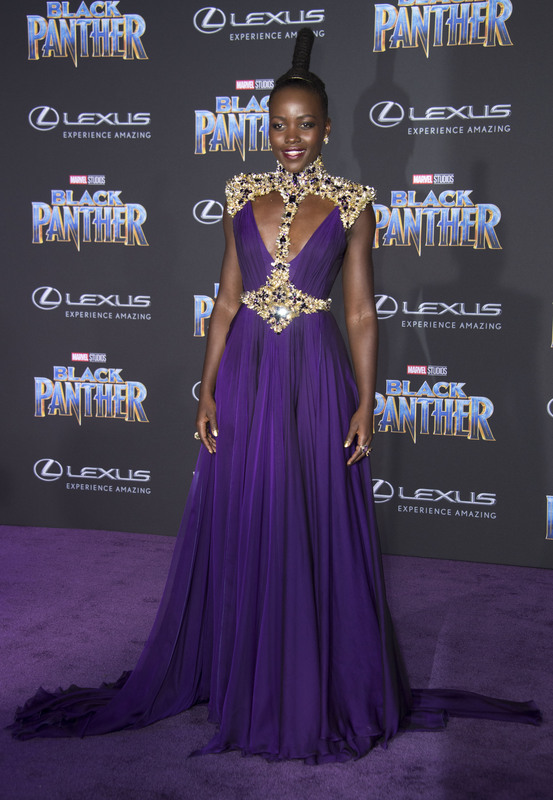 Not only is Lupita Nyong’o a force to be reckoned with on the big screen, but she’s constantly slaying looks on the red carpet, too. 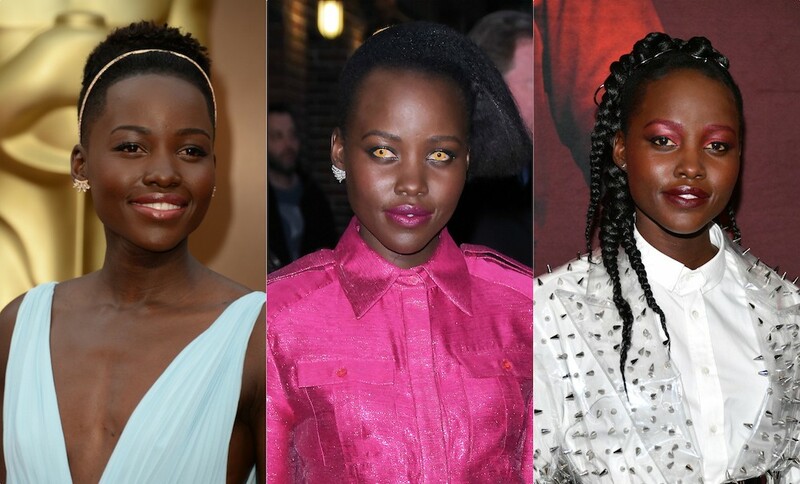 The actress burst onto the scene in 2013 with her debut role in the Oscar-winning film, 12 Years A Slave, and instantly wowed fans with her unique, bold, and always, always stunning style choices. Since then, she’s regularly one of the most anticipated and exciting celebrities to watch on the red carpet at any event. And it’s not just her jaw-dropping fashion choices, as glamorous as they might be. Her love of makeup, in all its boldness and playfulness, always comes through. So much so that it caught the attention of Lancôme in 2014, when the brand made Nyong’o its new face. Now, Nyong’o is starring in the horror film, Us, written and directed by Jordan Peele. To celebrate her first foray into the horror movie genre, we’re looking back at her beauty and style evolution through the years. A black jumpsuit and bold jewelry is always a safe but stunning choice. Wearing an intricate white gown at the Toronto International Film Festival for the premiere of 12 Years A Slave, we can already see Nyong’o’s penchant for glamour. Pairing a bright dress with a bright lipstick is a look we’ll come to know and love the actress for. Stepping out in a rare mini dress moment, Nyong’o paired this tuxedo dress with bright purple lipstick. An iconic look for the actress, who paired a bright blue gown with equally bright blue eyeshadow and a pink lip. We’ll always have a soft spot for this princess gown Nyong’o wore to the Oscars. Straight up Cinderella vibes. The glorious amount of color and texture involved in this look makes it hard to forget. This look (courtesy of Calvin Klein) was statuesque and unforgettable. What else would you wear to a Star Wars premiere? Looking lovely in lavender, the actress topped off her gorgeous look with a bright coral lipstick, of course. This seafoam green dress by British label Halpern was adorned with jewels and glitter for a layered, iridescent look. It’s rare to see Nyong’o in a crop top, so this look was super fun, youthful, and refreshing. So good. So regal. This red carpet look was one for the books. We love that the actress lets her hair and makeup steal the spotlight when donning a more understated gown. Remember when Lupita Nyong’o went to the Oscars looking like an Oscar? Iconic. This beaded, low-cut gown lives forever in our hearts. 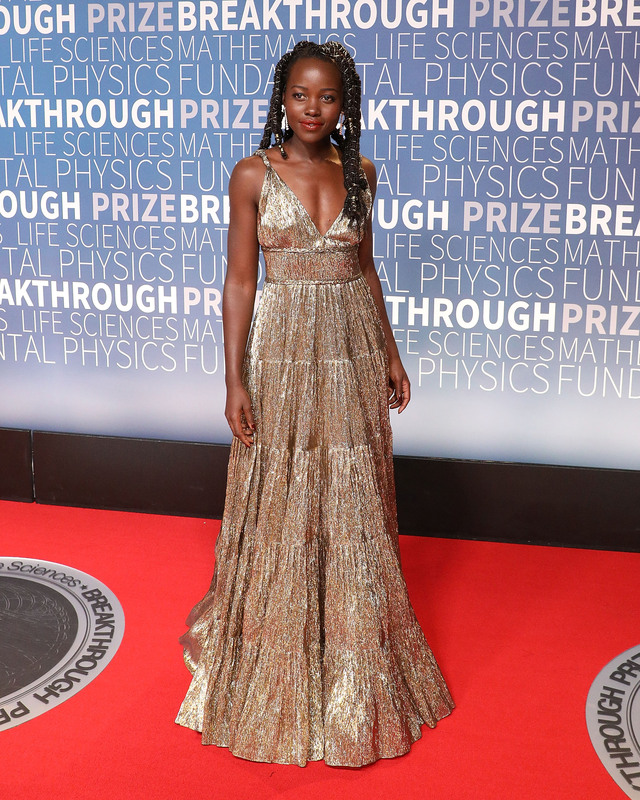 Debuting a new ‘do, Nyong’o attended the 7th Annual Breakthrough Prize Ceremony in a low-cut gold confection. Impossibly chic in a crisp white pantsuit. Debuting new braids and the most “business on top, party on the bottom” look we’ve ever seen might just be our favorite Lupita look of all time. Really. Either the creepy contacts or this gorg fuchsia look is giving us heart palpitations (possibly both?). We’re obsessed with this bold pattern and afro puff combo. At the premiere for Us, this spiked, clear PVC outfit from Balmain is killer glam at its finest.